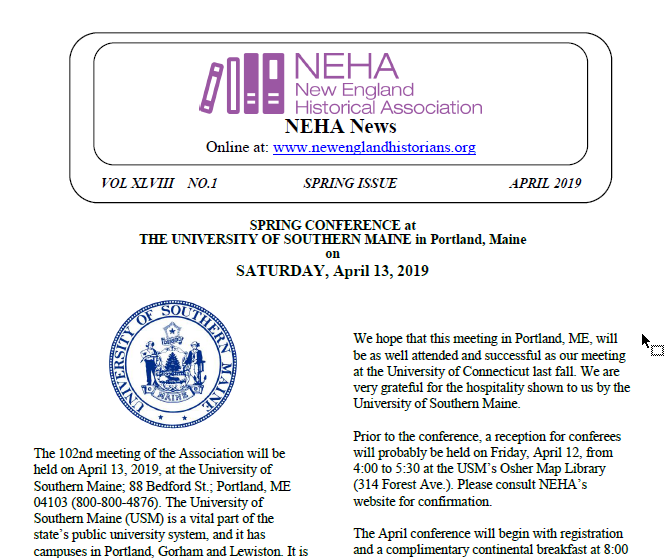 Join us April 13 on the Portland campus of the University of Southern Maine for the Spring 2019 New England Historical Association Meeting. Secure online registration is now open, through April 6. Click here for the latest updates on conference information.